A save the date isn’t always necessary, but it’s an addition to the wedding stationery set that most people don’t want to go past. You want to let people know you’re getting married, sure, but isn’t that what wedding invites are for? Well, no. Here’s why. Why Have a Save the Date Invitation? Generally save the date invitations are something simple sent out well in advance of the big day to give guests the opportunity to make travel and accommodation plans (especially if they have to travel a long way for a destination wedding, or if the wedding is falling on grand final weekend and hotels will be booked out by fly-in-fans). It is possible to forget a save the date card if you’re only planning a few months ahead and the wedding invitations are going out soon, but an advanced warning is usually appreciated by guests if possible. Besides, who doesn’t want an excuse for even more cute stationery! 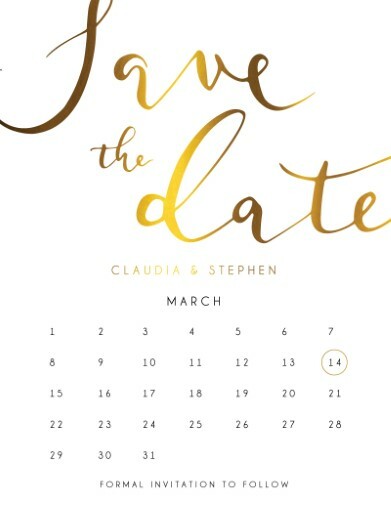 When do you need Save the Date invites? You really must have a save the date if you’re asking people to travel - especially overseas - so that they’re able to organise their trip. For a destination wedding, consider sending the save the dates out four to eight months ahead so guests have a chance to research what they’re going to need to do. Later, the wedding invitation will give them all the details of the day itself. For destination wedding save the dates it’s a good idea to provide information about possible accommodation and travel with the save the date rather than with the wedding invitation, to ensure guests have ample time to prepare. The information with the wedding invitation can then be more detailed, with information about activities you might have planned outside of the ceremony and reception and want your guests to join you on. If you’re planning your wedding according to a perfectly-timed schedule, there is a three to four-month window where you may want to let people know you’re getting married and when, but don’t yet have all the details of the day. In this instance, it doesn’t really make sense to wait for the invitations to go out. This is the perfect time to send out the save the date invitation. In this case, it’s as simple as a card with the date and place, with a note that information is to follow. 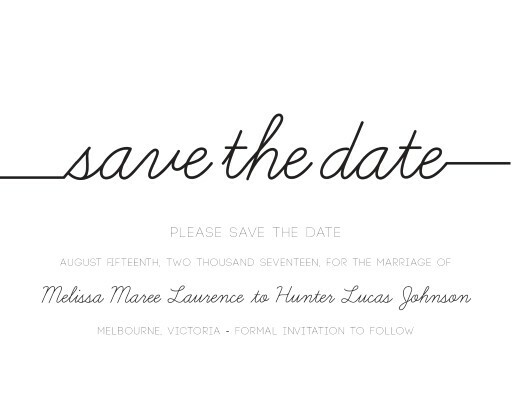 Maybe you’re not much of a traditionalist, and you don’t really want to send out a save the date? That’s alright as well, just make sure you’re not asking anything from guests that they may need to be warned about well in advance. 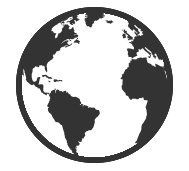 In our global society, it is more than likely that at least one of your guests, if not several, are living overseas. Whether it is your grandparents from the home country, cousins from across the ditch, or friends who have moved overseas to study or work, it is extremely common these days that several of your intended guests live abroad. Many such guests would love the opportunity to fly to share your happy day, but like everyone else will need time to plan a trip: particularly if it involves 30 hours in the air. If you are expecting that one or several of your guests fall into this category we highly recommend sending save the date invitations such as save the date postcards, sent out as early as possible. BUT THERE JUST ISN’T TIME! Look at you, doing things at the last minute! If you have only two or three months until your wedding day, you can save time and energy by simply sending out the wedding invitation at eight weeks with your other wedding stationery cards and avoiding the question of a save the date card. It isn’t always practical to give such advanced notice, and guests will have to understand that. Just don’t be too offended if a few can’t make it on such short notice. In the meantime, you may want to reserve some accommodation in advance and let your guests know, to ensure everything isn’t booked out by the time they start looking. So you’ve decided you do need a save the date invitation for your wedding. Who do you need to send it to? What should you send? When do you need to send it out? How do you word the card? So many questions! Here’s everything you need to know. IS A SAVE THE DATE AN INVITATION? While they are often referred to as ‘save the date invitations’, this is a bit misleading. 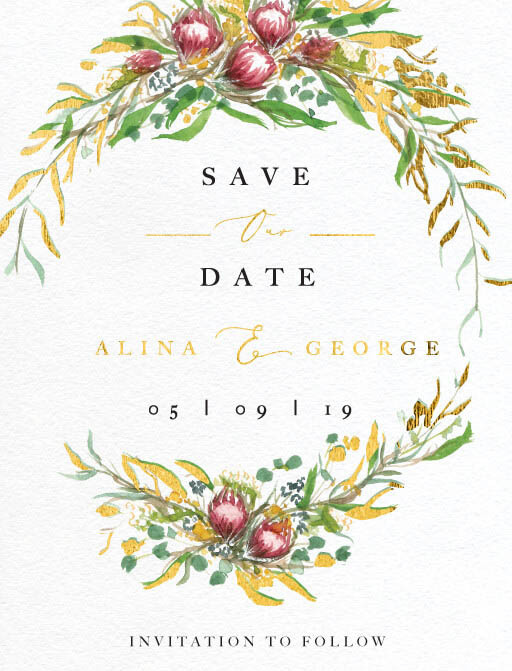 A 'save the date' is a promise that an invitation is to come, but it does not contain all the information a wedding invitation requires so it cannot stand alone. Because it is a promise, however, it should be taken as seriously as an invitation. You can’t take it back once you’ve sent it! 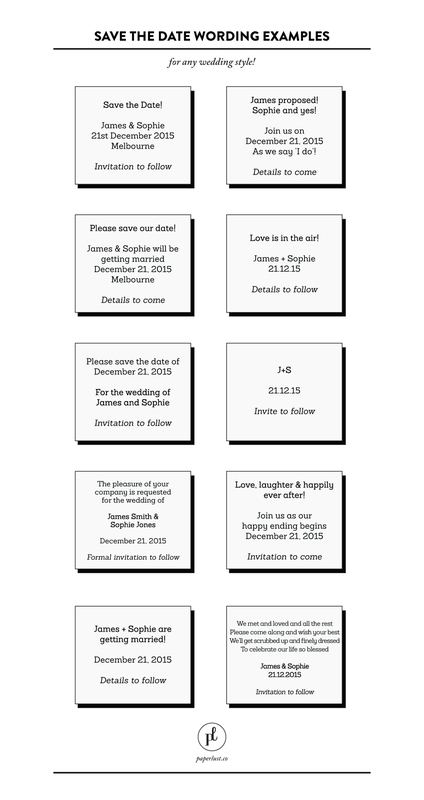 Send save the date invitations to everyone you plan to send the wedding invitation to. 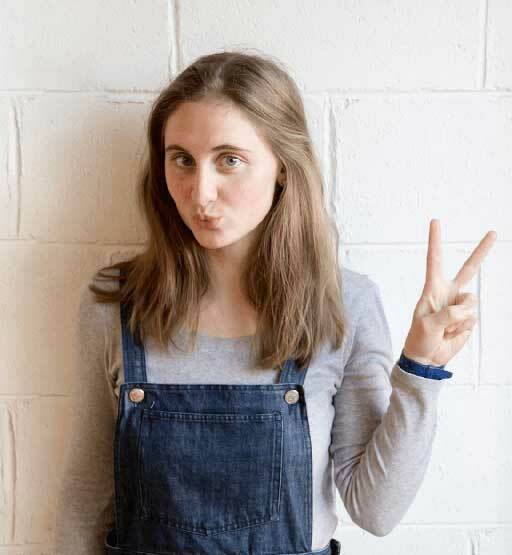 There’s no point asking people to save a date if you have no intention of inviting them to do anything on that date (and this could create some awkward situations for you! ), and there isn’t really any reason to leave off anyone from the guest list if you plan on sending them an official invitation anyway. Don’t panic if you leave anyone out though. Like we said, the invitations are going to follow so the worst you’re going to get is a ‘where was my save the date card, huh?’. Save the dates may include the names of the guests on the card, but this is not always the case. 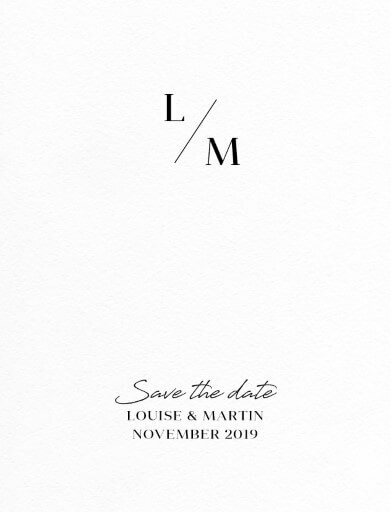 It’s important to make sure you address save the dates properly to make it clear who is invited and who should make sure they are available on the date in question, either on the card itself or on the envelopes. Your save the dates should be addressed with the same wording as your wedding invitation for the sake of consistency and making sure you don’t confuse guests, unless you have a good reason to do it differently. 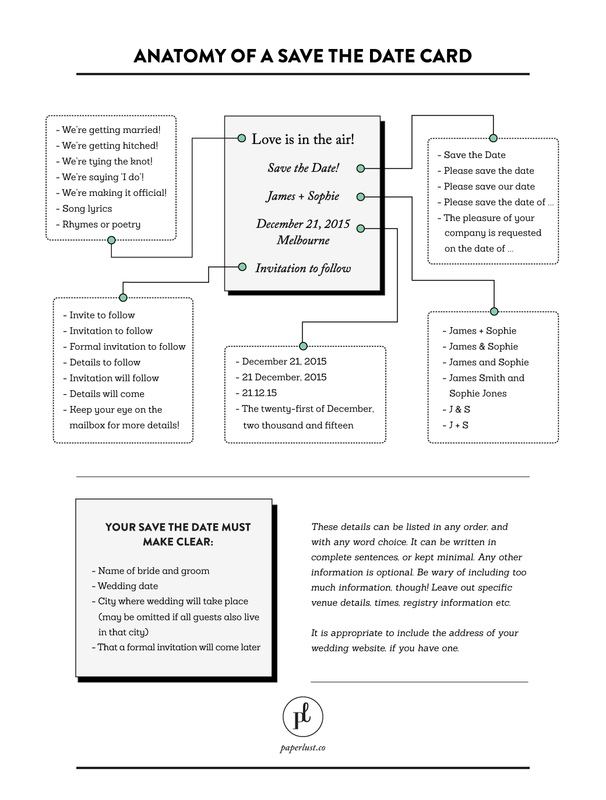 Traditional guidelines on how to address save the dates dictate that you should use people’s full names, not nicknames, and that you should use their full names with titles for a formal event. If you are inviting somebody to bring along a date, you should specify ‘and guest’ after their name. When to send save the dates can be one of the most confusing things for people planning a wedding or other event. As a rule of thumb, wedding save the date cards should be sent out at least three to four months ahead of time for your average wedding. Those planning destination weddings, and weddings where you expect some your guests to travel from overseas, should aim to send their save the dates out four to six months in advance, depending on how far guests will need to travel. Or if you are planning a baby shower, you can send out a baby shower save the date card early in the pregnancy to let people know the weekend you are going to be having the shower. If you are considering when to send save the dates, you should think about the big day and work backwards. Assume you will send your final invitations out 4-6 weeks ahead of a party or 6-12 weeks ahead of a wedding, and then work backwards to establish how much time you should leave between your save the dates and your invites. 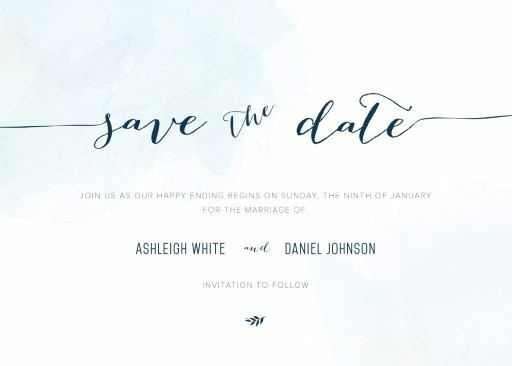 It makes no sense for guests to receive your save the date and then the actual invite just a couple of weeks later, so make sure you have a big enough buffer. Ideally, you should send out your save the dates at least three months prior to your invitations, longer if applicable, but the exact time will be different for each event. The only real way to know when to send save the dates is to work backwards in this way. Traditionally, the save the date invites match the suite of wedding stationery that will follow in a few months. It is usually a simple card with just the necessary information, but you may also choose to include travel information or other relevant details if guests need to plan travel. For the non-traditional among us, there are also some alternative save the date ideas which means the card itself isn’t always absolutely necessary. For example, consider save the date magnets, save the date parcels, save the date puzzles, or another creative multimedia version of a save the date. Click here for our range of save the date examples. Maintain a tone that’s consistent with the kind of wedding that you’re planning. Inform guests that more information is to follow soon so that you don’t have a flood of calls coming in asking what this save the date thing is all about. 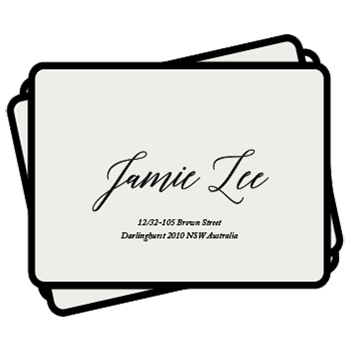 The best wedding save the date cards are simple, which means keeping to the basic who, what, when and where. Even though we talk about weddings throughout this article, not all save the date cards are for weddings. Any event that is being planned a long time ahead or that requires people to travel or make arrangements ahead of time should have a save the date. Save the date party invitations are popular, especially for people planning an 18th, 21st or sweet 16 and vying for free weekends with their friends of the same age. If you have a special birthday party coming up such as a 21st birthday party, or a 30th a save the date card for a birthday can be crucial to fit in with everyone’s busy lives. People need to know to save a date for you as soon as possible so they can plan accordingly. You might send baby shower save the dates, bridal shower save the dates, birthday save the dates, engagement save the dates, corporate event save the dates, or anything else. Similar principles will apply regardless of what the event is that you are asking people to save a date for. When you’re deciding whether to opt for save the date templates or professional save the dates, remember to factor in the time and cost of all these things to get a true picture of what your budget can handle. By the time you buy the right paper, ink, envelopes and then find the time to put it all together, is the template all that much cheaper? If you mess something up and have to reprint your invitations, will it blow your entire budget? Sometimes templates are absolutely the best option for you, but make sure you know exactly what’s on the table before you make any decisions. Best of all, professional wedding save the dates are available in a range of print types, including things like letterpress, foil stamped and print on wood, so you get a lot more luxury than you could achieve with a printer and ink at home. If you’ve decided that save the date templates are right for you, you might be wondering about whether you’d be better to track down freebies or find a nice paid offer. 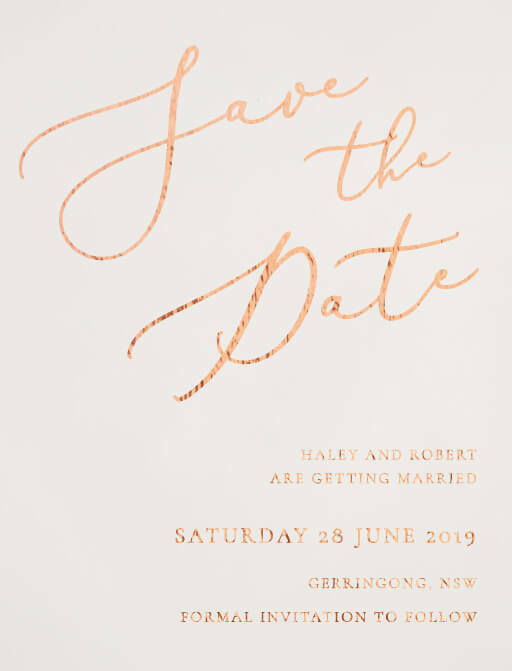 Since money is the number one reason most people choose to use templates rather than purchasing their invites, it is common for people to seek out save the date templates free online. If you’re choosing free save the date templates, make sure to consider the source. Don’t support people who are stealing designers’ work and making it available free. 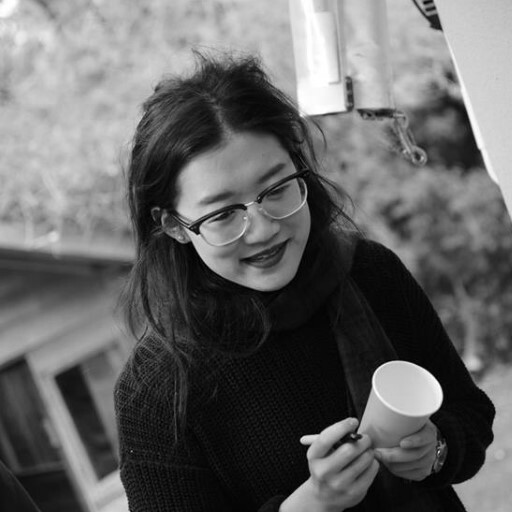 Instead, look for designers offering free versions of their own pieces. Lots of artists do this to promote their business, so you should be able to find a legit design that isn’t ripping anyone off. If you can afford a paid template, though, it might be worth it to splash out. 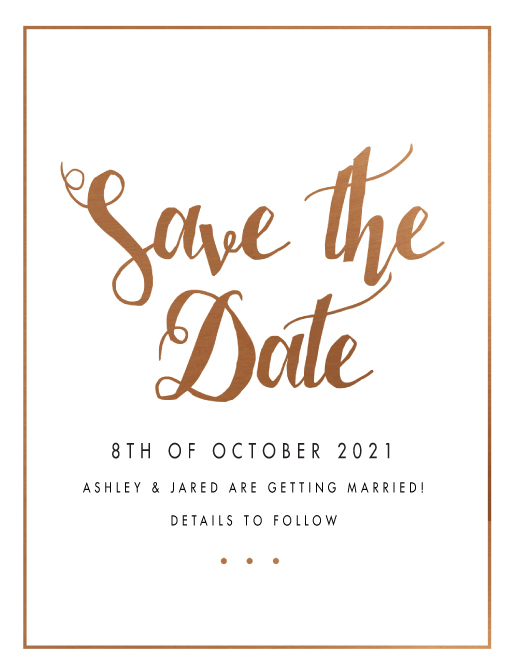 You can often find save the date templates for as little as $10-$20, and paying for the product means it’s more likely to be well designed and means you are supporting the designer, even if only a little. 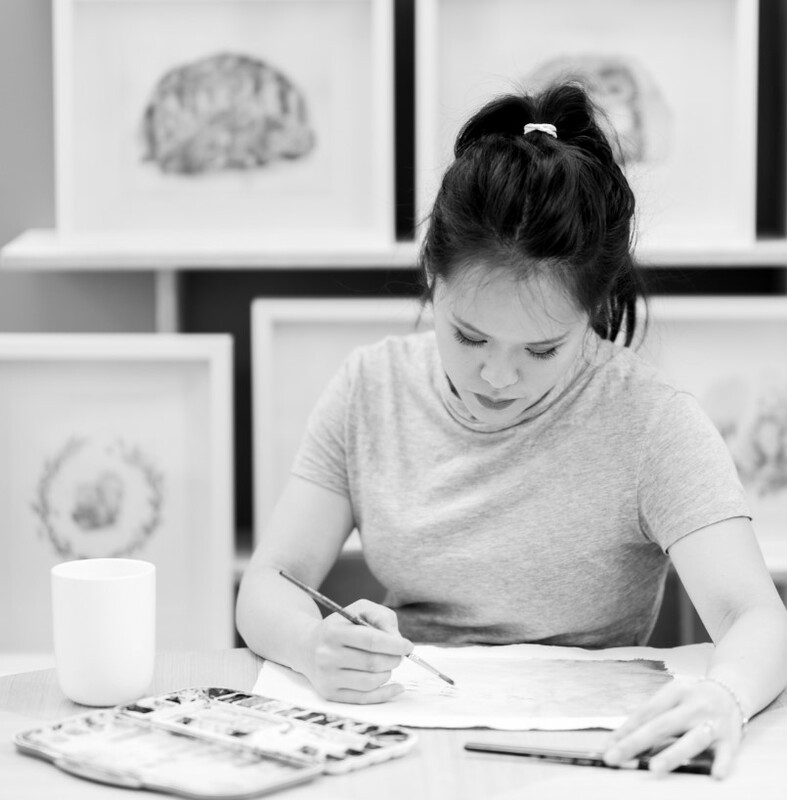 Paying for the template may also give you access to the creator to have questions answered or to seek help if things go wrong (but not always, so always check first!). Best of all, if you’re prepared to pay a little money for a template, you have way more to choose from! The best designs usually aren’t available free, so you’ll have a lot more choice with even a small budget to work with. If you’ve decided to use a save the date card template, whether paid or free, it’s worth doing your research into how to make save the date cards from home and how to print successfully. Plan properly and you won’t have to waste money printing your save the dates multiple times because you made a simple mistake. This is one of the easiest ways to save money on your save the date cards and to make it worth choosing print at home options. One of the fastest ways to lose money printing your own cards from a save the date card template is to end up using way more paper and ink than is really required for the job. Printing your save the date card template properly will require different things depending on your printer, but these are our top tips for how to make save the date cards look incredible, even if they were done at home. Choose high quality paper, and make it as thick as possible. Opt for the thickest paper your printer can handle - around 150gsm if possible. Feel it in the shop to make sure it feels luxurious and the thickness is right for what you want. Use a matte or linen finish if you can. 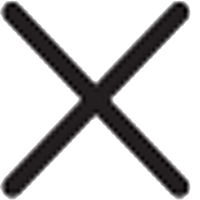 Test print one invite first, and take note of all your settings and choices so you can replicate the effect or tweak as you need to. Don’t ever just set it up to print all and hope for the best. Keep an eye on things. Even if your test print was perfect, hang around during the printing process and check that the result is staying consistent throughout the print run. Printers can malfunction, paper can fall out of alignment, and ink can smudge. Again, don’t just set it to print and walk away. 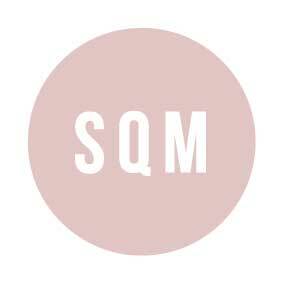 Name of bride and groom – so that your guests know who is getting married, of course! 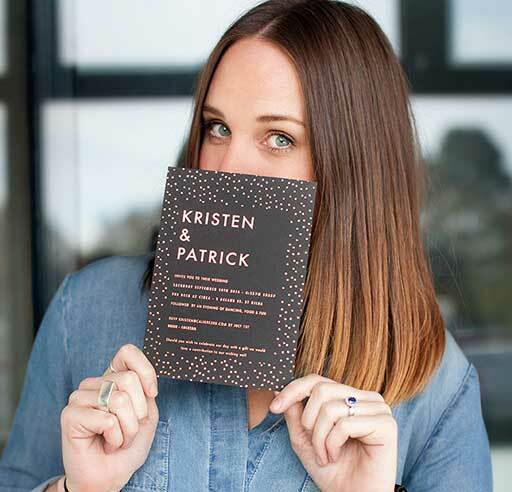 Wedding date – this is the point of the save the date invites, duh. The city where the wedding will take place – This may not be necessary if all your guests live in the same town as you, but it’s usually best to make sure it’s clear. ‘Formal invitation to follow’, or something similar. This makes sure your guests aren’t calling you up about the ‘missing’ information. Of course, this is often implied by the words ‘save the date’, or just by the nature of the card, so some people choose to leave this off. 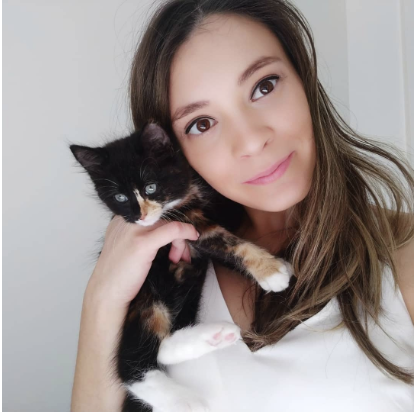 There are other things you can include if necessary, although in most cases these things are included in the actual invitation package sent closer to the date. You may wish to provide information about booking flights and accommodation at this early stage if you are having a destination wedding or a wedding occurring during a peak tourism season. Mostly, anything that your guests would need to prepare this far in advance, you should give them information about. For many weddings, this is nothing more than the date. Anything about gifts! Do not include registry details or requests for money. Save the date cards are the easiest part of wedding stationery when it comes to wording. If in doubt, it’s perfectly acceptable to stick with the bare bones of information: Your names, the date, and the city. No extra words needed. If only the wedding invitation and thank you cards were so simple! But of course your save the date invitations don’t have to be so sparse. Depending on the overall style of your wedding, and your invitations in particular, you might go for something witty, humorous & funny save the dates, formal or romantic. Save the dates are a great opportunity to let your creativity run free, so this can be a fun chance to play with different wording ideas. The first thing to consider is whether you have already sent out any correspondence. 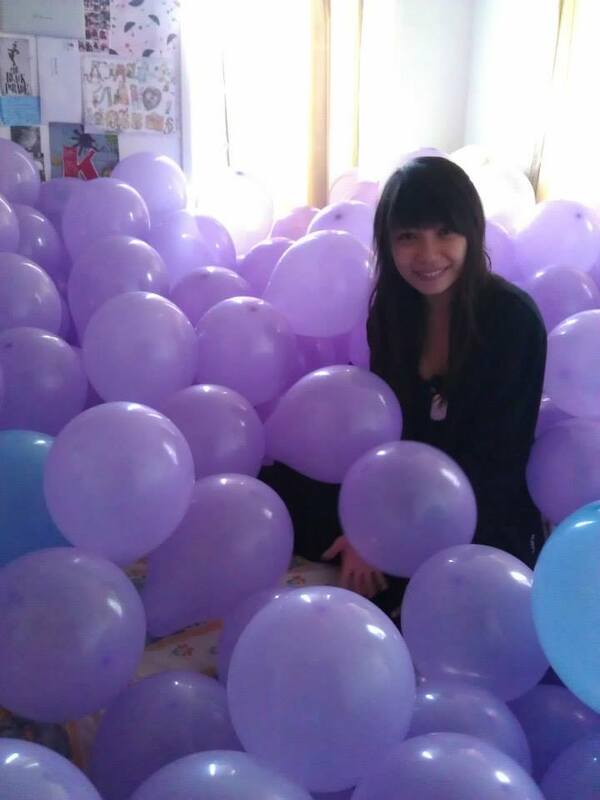 Did you send an announcement of your engagement or invitations to your engagement party? If so, you should avoid wording you're save the date too much like your earlier messages. If it sounds just like your engagement announcement, people are likely to be confused. You want to avoid them pausing when they check their mail and saying “Wait…Nick and Leah? Didn’t we already get this?”. It is best, to begin with an understanding of the overall style of your wedding. 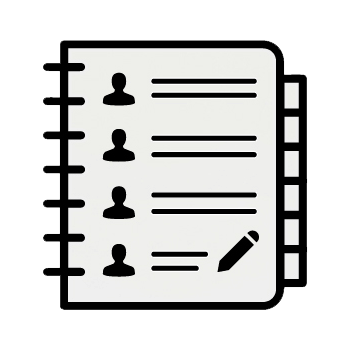 This will inform the approach you take with your written correspondence. Once you have an idea of this, it’s time to get writing! The presence of John and Elizabeth Bradbury is requested on the sixteenth of December two thousand and fifteen, for the wedding of Emma Ray and Lucas Davenport. Please reserve the date. Formal invitation to follow. This may sound unnecessarily wordy written in a blog post, but printed on quality cardstock in a decorative script, perhaps imprinted on the page with letterpress, it fits perfectly. Your guests will think they’ve been summoned to a royal ball. Of course, fewer words can also be delivered with a classy touch. If you just want to include the information without embellishment, consider the design of the save the date carefully to ensure it is fancy enough to fit in with the rest of your wedding plans. Elegant save the date cards will set the tone for the day as a whole. Please save the date! Luke and Sydney are getting hitched, January 21, 2016. Pencil it in, and we’ll get back to you with more details soon! Save the date! 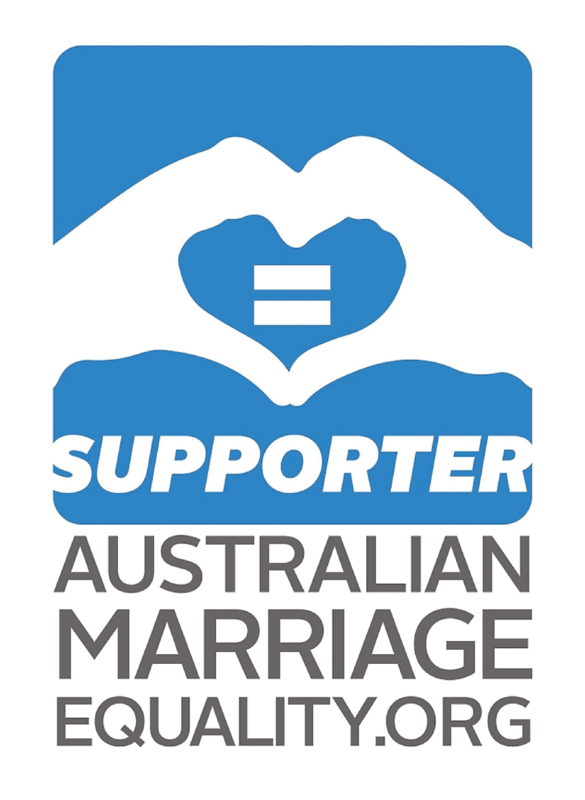 Daniel and Jessie are tying the knot in Ballarat on June 3, 2016, and we want you there to celebrate with us! Invitation to come. Just for you, we’ve put together a bunch of save the date wording ideas to help you out. First, we have a collection of snippets so you can mix and match to create your wording no matter what style you are going for! Following that is a set of templates you can use as they are or refer to for inspiration. 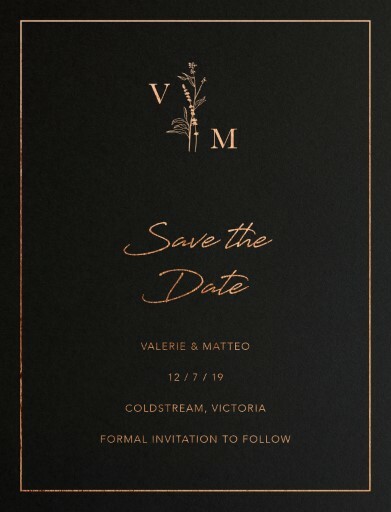 Save the dates invitations are your guests’ very first taste of your wedding: they establish its signature style and hint at the feel of the day. You should be able to tell from a save the date whether the wedding will be formal or casual, classic or rustic save the dates, and so on. Understandably, you’ll probably feel a lot of pressure to get your save the dates right! So if you’re having trouble deciding on a theme for your wedding stationery, and worrying about those all-too-important reminders that need to be sent out so early in the piece, you might want to consider seasonal save the date cards. Whether you’re having a magical white winter wedding or planning a warm, relaxed summertime affair, it’s easy to reflect the season stylishly and effectively in the design of your save the date cards. Seasonal save the dates have the bonus of hinting at what to wear, as well as the style of the wedding. An autumnal save the date, for example, will immediately remind guests that they might need to bring a coat along for later in the evening! Keep in mind that your save the dates don’t necessarily need to match your invitations and other wedding stationery. You may prefer to keep them separate and unique. If you do prefer a matching suite, though, it remains super easy to incorporate key seasonal elements, motifs and colour schemes throughout all your stationery components. Likewise, you don’t have to incorporate the seasonal theme of your save the dates into your overall wedding décor since it will remain relevant regardless thanks to the date. So if you don’t have another particular look or theme in mind yet, a subtle seasonal option could be the perfect choice. Let’s take a look at some save the date card options for each of the four seasons. Summer weddings are all about embracing warm weather and enjoying the outdoors. Many summer-loving couples will choose a save the dates for a beach wedding, which is an easy and effective theme to work with your save the date cards. 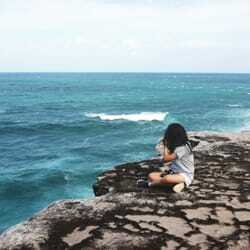 However, the seaside isn’t your only warm-weather option. 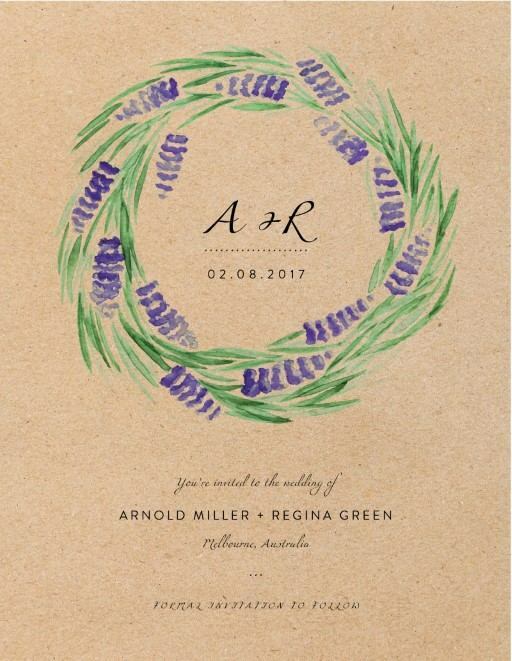 Garden and vineyard weddings – any ceremonies held outdoors – are also popular, and can make for some very pretty wedding stationery. No matter which type of summer wedding you’re having, it’s best to keep things simple with your save the dates. You don’t want to cross the line into tacky territory by plastering the cards with enough palm trees for a Hawaiian shirt! Opt for a subtle approach, using one or two key motifs and an elegant, carefully considered colour scheme. 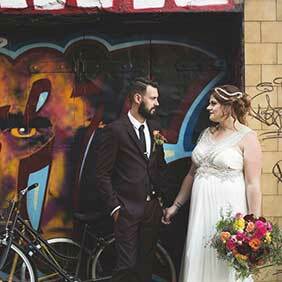 The crisp air and scenic, leaf-strewn backdrop of an autumn day sets the scene for a beautiful wedding. The season’s naturally rich colour palette is ideal for stand-out stationery, too. Autumn-themed elements work well in illustrated or photographic save the date cards. For a tactile, handmade effect, why not consider including actual pressed/dried flowers or autumn leaves? It’s the perfect chance to get creative. Winter weddings provide the perfect opportunity to create a picturesque, striking aesthetic. From the snow-white wedding dress to the echoes of lace in a delicate snowflake, winter and weddings seem made for each other! There are plenty of ways to incorporate this season into an elegant set of save the date cards. Ah, spring. It’s the time of new beginnings and blossoming buds: in other words, the perfect time for a wedding. Flowers are in bloom, and the weather is getting warmer, so garden, forest or country field weddings are particularly popular in spring. Whether it’s to accommodate your locale or only to commemorate the season, a nature-based theme is perfect for spring save the date invitations. Florals are an obvious choice – they offer a broad range of beautifully decorative options, but there are other things you can do if flowers aren’t your style. For a less ‘girly’, more neutral option, you might like to concentrate on leaves and greenery other than flowers, which can open up a beautiful, minimalistic and earthy colour palette. Save the date magnets are a fun and unique way to give your guests plenty of notice about the date of your big day. Whether you are looking for floral, geometric or watercolour save the dates, a magnet is a great way to show off the style. Our magnets come in a range of colours, just like our other invites, so there’s something for any colour palette: green, blue, gold or pink. Even once they’ve served the second purpose and the wedding is done and dusted, wedding invitations, save the dates and thank you cards have a habit of setting up permanent camp on the fridge (especially for those of us who are a little lax about changing up what’s there, whoops) thanks to their sentimental and eye candy properties. A save the date magnet is a brilliant way of acknowledging that a save the date does its best work when it’s on the fridge, and making it easy for your friends and family to put it there. If you’re thinking of sending out save the date magnets, there’s a few things you should bear in mind as you make your decision. Your save the date magnet postage cost might be slightly higher than the cost to post a standard wedding card, because it is calculated by weight and magnet backing is quite heavy compared to standard cardstock. This may or may not be an issue depending where you live and what the regulations are for the weight of mail items. Make sure you have a look before you place your order so you can budget accordingly. These both convey the same information but in quite different ways that take up different amounts of space. Of course, if a picture or illustration accompanies the first piece of text, it could actually take up more space. 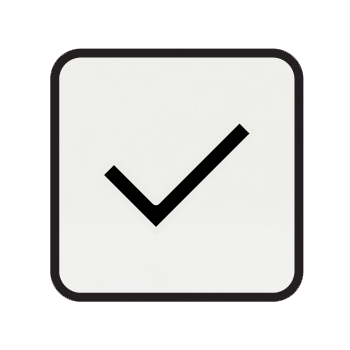 Know what appeals to you and match the size accordingly, but remember that the size of the magnet will affect weight, and thus postage costs, as well as the appearance of the magnet on the fridge. Some people like their save the date magnets rustic, others like them minimalist, watercolour or geometric. If you love the look of a save the date magnets diy project, it’s definitely easiest to achieve this by picking a cute DIY-style design and having it printed professionally rather than struggling over your printer with expensive magnet paper and ink that won’t dry properly. Whatever design style appeals to you, think about how it will translate to a magnet on the fridge. Some styles make the leap better than others. For example, vintage save the date magnets can be tricky to pull off since paper is so deeply connected with the vintage style as a whole. Is it possible? Absolutely! But factor in that tactile factor when you pick the design on-screen. Most good quality stationery companies will offer full magnet backing for their magnets, but occasionally a sketchy online site offers very cheap magnet save the dates that seem too good to be true. How do they do it? Often, the save the date has simply been printed on paper and a small magnet attached to the back with glue. A lot of the time these magnets are tiny, not very magnetic, and not very well stuck to the paper. Know what type of backing you’re getting before you pay for save the date magnets to avoid disappointment. Just having a save the date magnet isn’t automatically going to get you on fridges: you have to earn that spot! 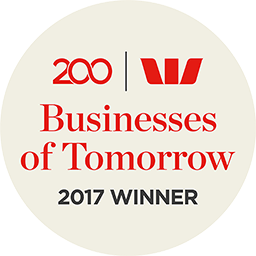 If you’re after something that really makes people want to take notice, consider a magnet that serves an extra purpose. Like what, you ask? Most people love having photos of people they care about stuck on their fridge. Great photo save the date cards as magnets serve the purpose of a save the date as well as doing double duty as a photo. These are the ones most likely to stick around on fridges for years to come, long after the celebrations are over. Since save the dates are all about, well...dates...a lot of people choose to use a save the date magnet with a calendar of some sort so that the magnet is a useful fridge item. 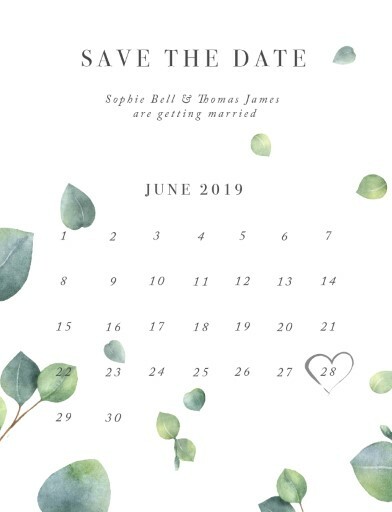 The nature of this save the date calendar is up to you, and might include the month of the wedding, the year of the wedding, or just a list of dates. Pro tip: If you have a date in mind for RSVPs to be in (usually a few weeks out from the wedding), include that on the calendar! This is the date people are most likely to overlook, so it pays to be organised. Remember, this is your wedding! You want to get the guests enthusiastic from the start. A clever save the date wedding invitation will have them eagerly awaiting your full invitation. Don’t forget that we have some great tips on wording your save the dates. We’ve got you covered! A save the date flyer is another option available for your save the dates. 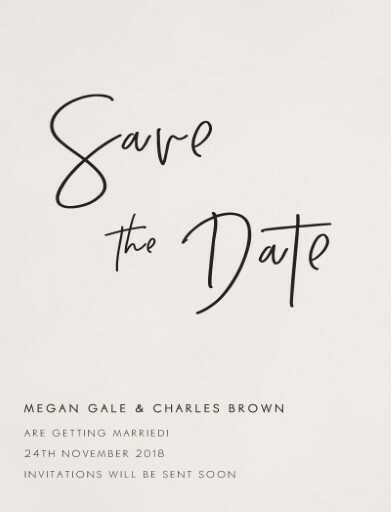 A save the date flyer differs from a traditional save the date card in that it is usually cheaper, printed on inexpensive paper and printed with a standard digital print technique rather than fancy print types like real foil stamping or letterpress. 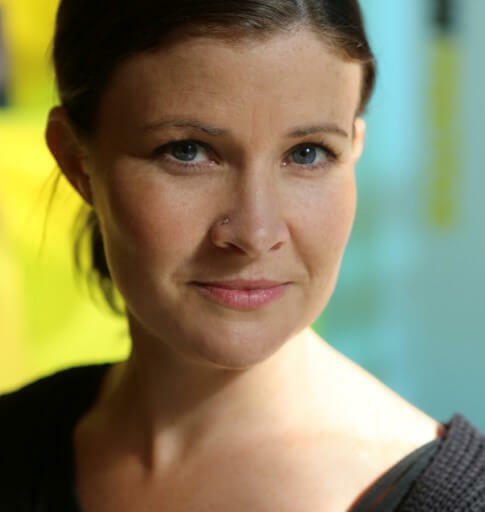 They also typically have more information on them than a standard save the date, especially if they come from a business and need to establish who the hosts are and what the nature of the event is. Flyers are a great choice for people who are on an extremely tight budget or who need to distribute a very large number of save the dates. Save the date flyers usually aren’t chosen for a wedding or other big life event, since they are typically lower quality than people expect for these occasions. Instead, it is common for business or corporate save the dates to be made in the form of flyers, especially for an event like a store opening or business opening, a product launch or a big sale. In general, a save the date flyer is the best choice only when nothing else will do due to expense. 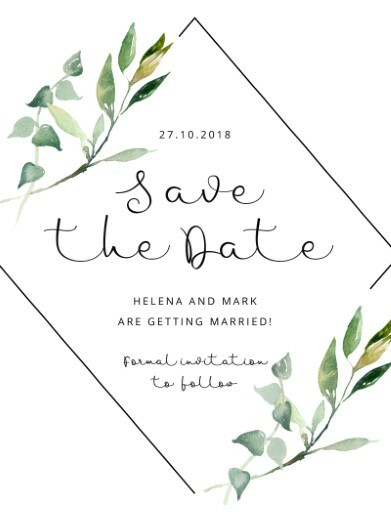 It should only be used for an occasion where you are not connected with people receiving the save the date flyer, and do not need to mark a significant occasion with anything too special, this for example could be a save the date for a christmas party, or a save the date for a baby shower. They are popular choices at conferences to remind people to start planning for the following year. Professional save the date flyers are significantly higher quality than cheap flyers created with a standard printer or a photocopier. They can be full colour, glossy and on thicker paper stock for a more premium feel. This is great if you need to make an impression or want to represent your business or event in the best possible light, while still keeping things affordable. They also make the flyer more durable so it is less likely to end up shredded in the bottom of somebody’s bag. If you’re considering a save the date flyer for your wedding or special event because you’re on a tight budget, consider saving money by ordering affordable save the date cards or even printing your own from a well designed save the date card template. This will give you a better result for an important event without breaking the bank.